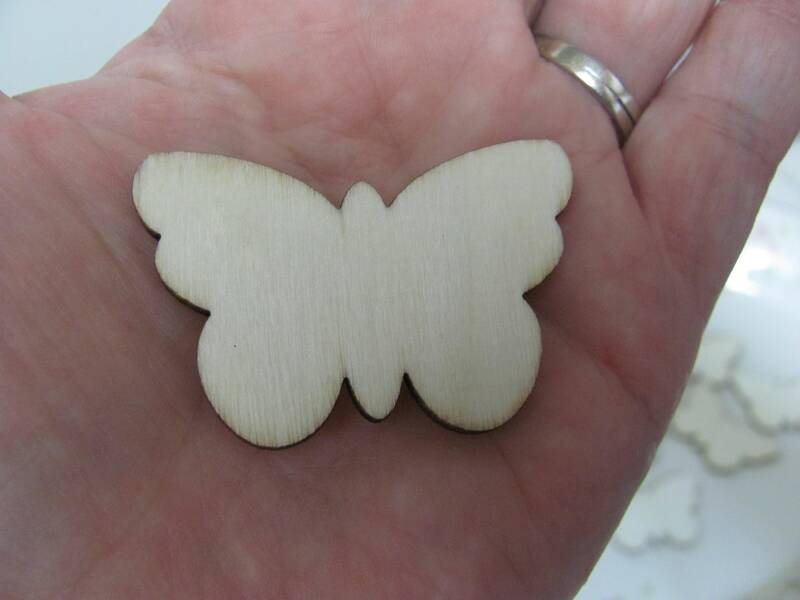 8- wood butterflies for wedding guest to sign or for craft and floral projects. 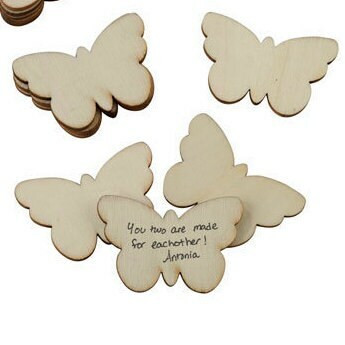 Guests can sign these sweet wooden butterflies to create a fun wedding guest book alternative or use them in your crafts, ornaments etc. 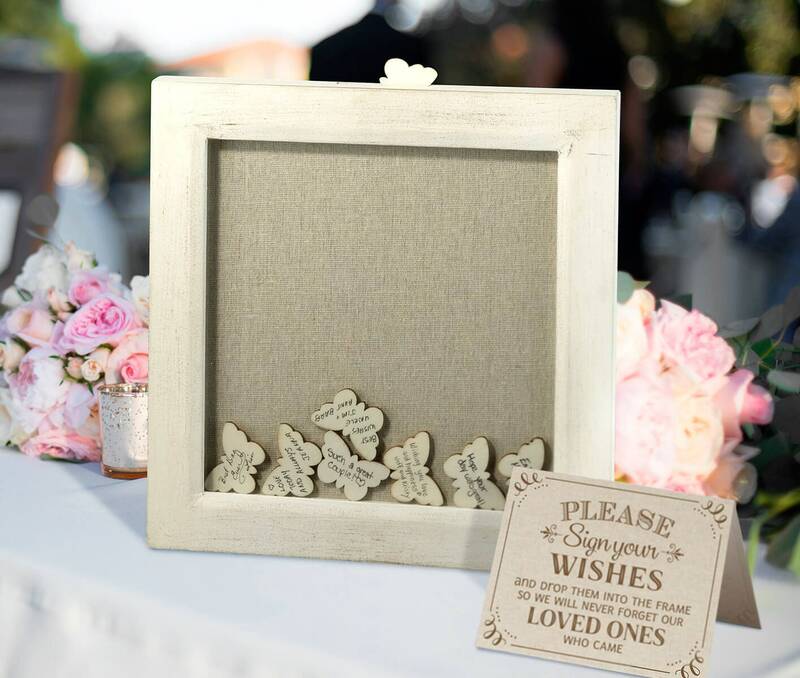 Drop them into a decorative container to keep for years to come. 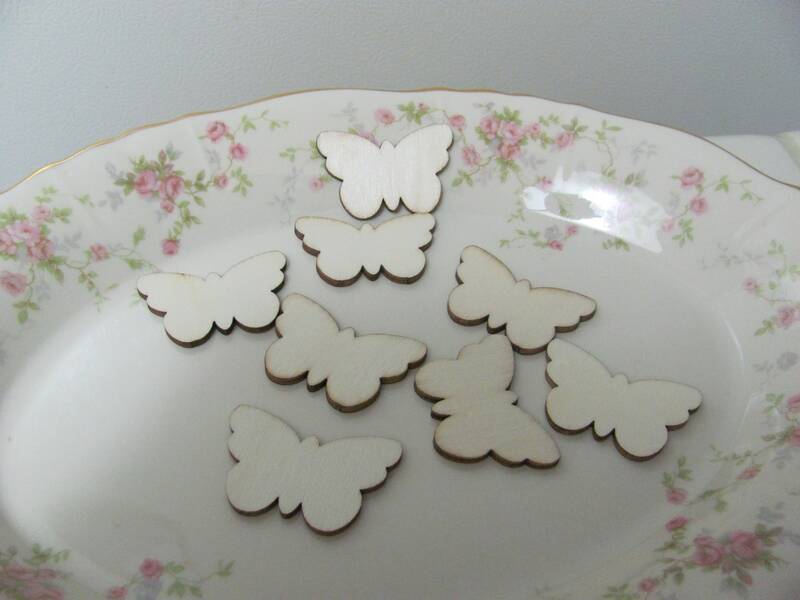 (note container shown is for display only and is NOT INCLUDED) Small Signing butterflies measure 1.75" x 1.25".